active ingredient from piracetam to picamilon help or hurt Profiderall? 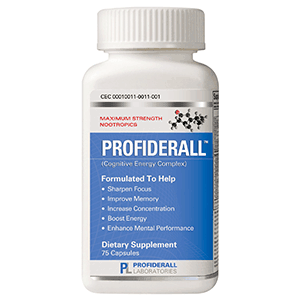 We review this ingredient change as well as almost every other aspect of this supplement here in this Profiderall review. The manufacturer of Profiderall is Profiderall Laboratories. Judging from the look and feel of the bottle, Profiderall Labs is trying to align itself with pharmaceutical giants like Merck and Shire. Despite this, Profiderall Labs is somewhat vague about what its supplement will do for those who take it regularly. Upon closer inspection, we uncovered that Profiderall’s true ownership is unknown, as the domain registration is private. Furthermore, we were unable to locate the location of its manufacturing facility, as this is not given out publicly. Unfortunately, there is no phone number listed for Profiderall or its manufacturer, so we were unable to verify this information. The only way to contact Profiderall is through a contact form on its website. While this may not be a major issue, contacting Profiderall has been difficult, and we were left waiting days without a response to our questions about the change in ingredients. Without being able to verify the manufacturer of Profiderall, we are a bit skeptical that this company actually exists at all. 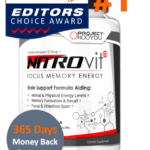 This will prove to be a problem if customers want to receive any more information than the scant data found on Profiderall’s website or the incorrect information found on nootropics websites. These issues should be ‘red flags’ for those who are considering Profiderall. 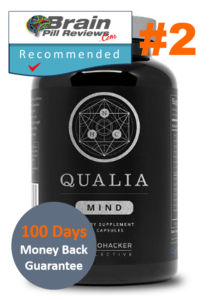 When we review a supplement, we expect the supplement’s website to be brimming with information about how it works and what we should expect to gain from taking it. 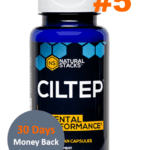 Supplements with vague websites lacking any real information typically do not deliver the results of high-quality nootropics and should be avoided. Unfortunately for Profiderall, the website leaves much to be desired. 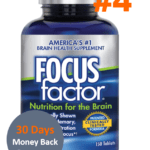 The front page discusses the benefits of taking Profiderall including sharper focus, improved memory, increased concentration, and similar things. The question on our mind is whether or not Profiderall delivers on these promises. There are no sections related to clinical trials or even customer reviews, so we had to look for third party reviews sites as well as some of the big e-tailers like Amazon. What we find on those sites is below. There is one final item to mention about Profiderall’s website. There was very little supporting information about the lifestyle that Profiderall promotes, which is essentially human optimization. 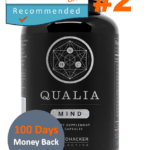 Other supplements supply free downloadable e-books, recommendations of supporting supplements, and articles on cognitive enhancement. Again, Profiderall fell short in this category by supplying none of these things. One of the most curious aspects of Profiderall is that it moved its formula away from piracetam, substituting it with picamilon. Piracetam is an impressive nootropic substance (second only to Noopept), which they consider on par with amphetamine based ADD/ADHD drugs. Picamilon is a precursor to GABA, which is an anxiolytic, not a mental stimulant. Hence, this change is interesting, and most certainly means that Profiderall will not do what it claims to do. An increase in GABA will relax the brain and will not provide the ‘edge’ that most people (including ourselves) are looking for. This fact alone makes us want to stay away from Profiderall. After highlighting the fact that Profiderall will not provide any mental boost like it claims to, the FAQ section must be critique. One of the questions refers to the amount of caffeine in Profiderall. The answer provided by Profiderall is that Profiderall contains less caffeine than a cup of coffee. A quick check reveals that Profiderall has 150mg of caffeine anhydrous per dose. A standard cup of coffee has 95mg of caffeine in it, meaning that if you were to take 2 doses of Profiderall per day in addition to the coffee you normally drink (2 cups per day), you would be overloading on caffeine. If Profiderall is relying on caffeine to provide the mental boost it is marketing. Then we simply cannot justify paying $54.95 for a caffeine pill. – Should take for at least 2 weeks to get in the swing of dosage. 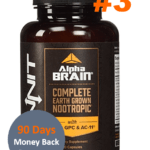 Furthermore, according to our Profiderall review, we have found that this supplement should not consider to be a real nootropic or cognitive enhancer. 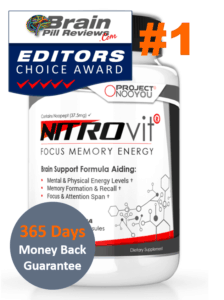 Without any real nootropic substances, Profiderall falls short of other well-known supplements that cost the same price. 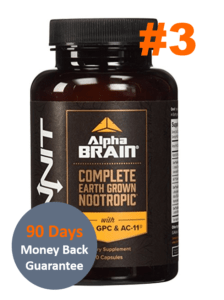 For supplements that really deliver a boost in cognitive abilities and look into nootropics with Noopept or piracetam.